The new Rolls-Royce Dawn greets the observer with a striking yet elegant exterior design with classic Rolls-Royce appearance and presence. 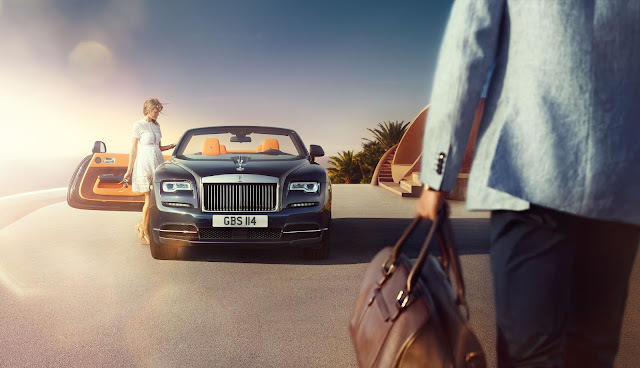 It is the most vibrant Rolls-Royce yet with charming and alluring qualities that bring a new level of finesse, sophistication and refinement in a drophead coupé – a serene yet exhilarating sense of uncompromised freedom. 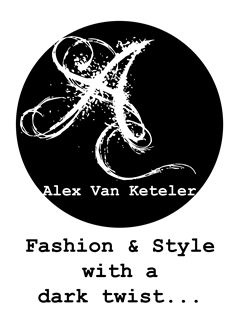 It offers a new level of effortlessness and a relaxed sensory experience with an underlying exhilaration and dynamism. All this without a single compromise to comfort and space. This new Rolls-Royce embodies dynamic and social qualities that will attract a broader, younger and more socially-aware audience around the world. The Rolls-Royce Dawn maintains timeless Rolls-Royce design principles – 2:1 wheel height to body height, a long bonnet, short front overhang, a long rear overhang, an elegant tapering rear graphic and a high shoulder line. All this tradition is delivered in a beautiful and thoroughly contemporary design. Like an athlete, Rolls-Royce Dawn appears poised, taught and ready to go. The latent acceleration and tension in the surfaces are increased through completely new panels which evince curvature that creates a tighter surface and a more powerful silhouette which hints at what lies beneath. Dawn’s powerful and striking front end gives it a sensuous yet edgy, almost masculine look whilst the bold sweeping shoulder line becomes more sensuous as it flows over the swell of the rear wheels, accommodating a wider track. A tapered ‘wake channel’ on the bonnet, emanating from the Spirit of Ecstasy’s wings, evokes the sight of a jet’s vapour trail, hinting at the car’s dynamism. With its high shoulder line, massive C-pillar and horizontally narrow side window aperture, when viewed from side-on and roof up, the car looks akin to a low-slung ‘hot rod’. At the front, the grille is recessed by approximately 45mm whilst the lower front bumper has been extended 53mm compared to Wraith. This has been done to focus the eye on the jet air intake face and to make the car feel focused, even when standing still. The grille design helps accelerate the tension of the car towards the rear shoulders, again emphasising the unique elegance of Dawn. 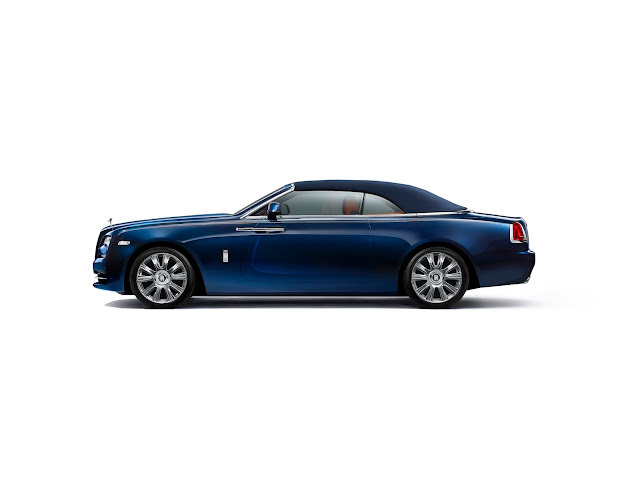 The grille and bumper focus attention on the horizontal lines of the car rather than the traditional vertical lines of the other members of the Rolls-Royce family. The bumper now incorporates the number plate surround and a new focused lower air dam. The mesh in the lower valance is recessed and black in colour, helping create a sense of depth which supplements the depth in the grille. Also, chrome ‘blades’ act to plant the car while also complementing the horizontal lines and accelerating the flow of the eye around the car thus increasing the impression of power and width. 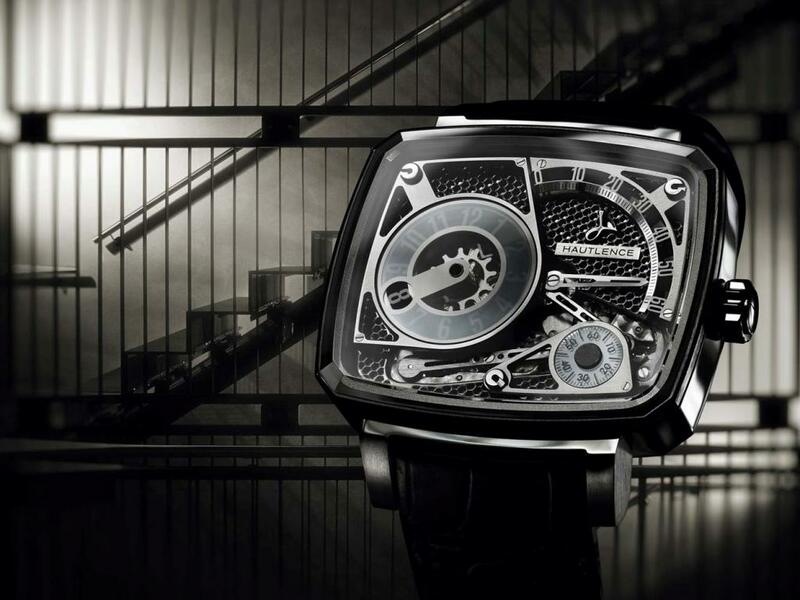 When viewing the Rolls-Royce Dawn in side profile, one’s eye is instantly drawn to the elegant profile of the car. The soft top shape is completely harmonious and homogenous without the ugly concave areas or sharp struts seen in other manufacturers’ soft tops. In addition, new 21” polished and 21’’ and 20” painted wheels ensure Dawn remains a perfectly executed, contemporary expression of Rolls-Royce luxury. The rear end of the car, having swelled over the feminine ‘hips’ of Dawn, tapers in towards the rear, echoing the elegant design of early ‘boat tail’ Rolls-Royce drophead coupés and indeed the beautiful motor launches of the early 20th Century that inspired them. The silent lowering of the soft top transforms the Rolls-Royce Dawn, delivering a true Dawn moment. In hero specification of Midnight Sapphire exterior and Mandarin leather interior, night becomes day as rays of sunshine burst forth, bringing the inside out, joining this social space with the wider world of possibilities. The stainless steel waist line finisher that wraps around the cabin encompasses the deck that covers the soft top when stowed, and integrates the high-level brake light. This beautiful metal feature works in harmony with the stainless steel door handles, polished wheels, visible exhausts and front and rear bumper jewellery, to create a priceless look and feel. Interior designOnce again Rolls-Royce’s unique coach doors come into their own in a drophead format. The coach doors are impressive and graceful. 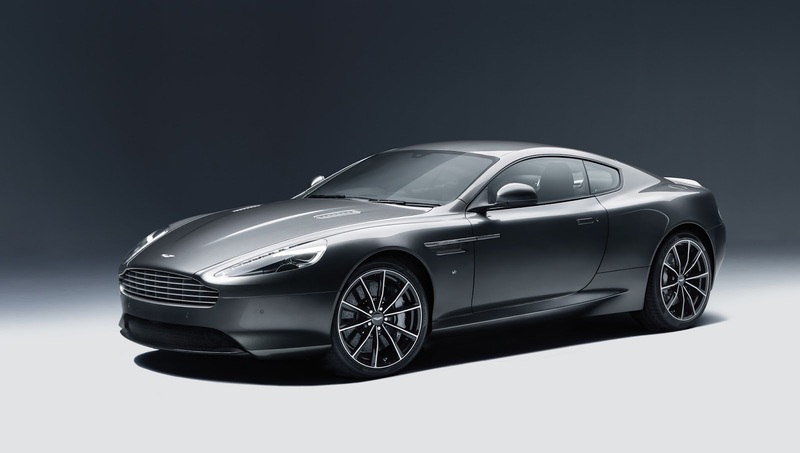 The doors complement the long front wings and relaxed waft line, creating a long body profile and a cosseted cabin. Evocative of the classic sports car profile, they add considerably to the easy entry and egress of rear passengers from Dawn’s luxurious embrace. The rear passengers do not merely ‘get out’ of a Rolls-Royce Dawn, but rather stand and disembark as if from a Riva motor launch onto a glamorous private jetty in Monaco or on Lake Como. Of course as one would expect of a Rolls-Royce, the coach doors also serve a more fundamental purpose than simply a means of access. Perhaps just as importantly, they also add significantly to the overall strength and stiffness of the body as they allow the construction of an uninterrupted A-pillar. The first impression upon entering Dawn is of the four separate bucket seats set in the midst of a sumptuous and sartorial slingshot of wood and leather. The slingshot concept runs from the driver’s A-post towards the rear of the car, around the rear seats before returning to the passenger A-Pillar. 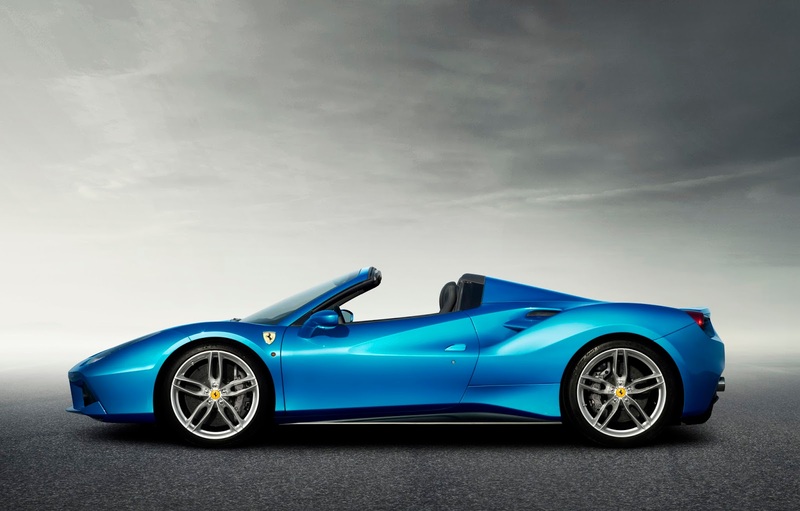 The slingshot form is reminiscent of a barchetta, pulled back, poised and ready to launch the occupants of the car to the horizon, even whilst stationary. 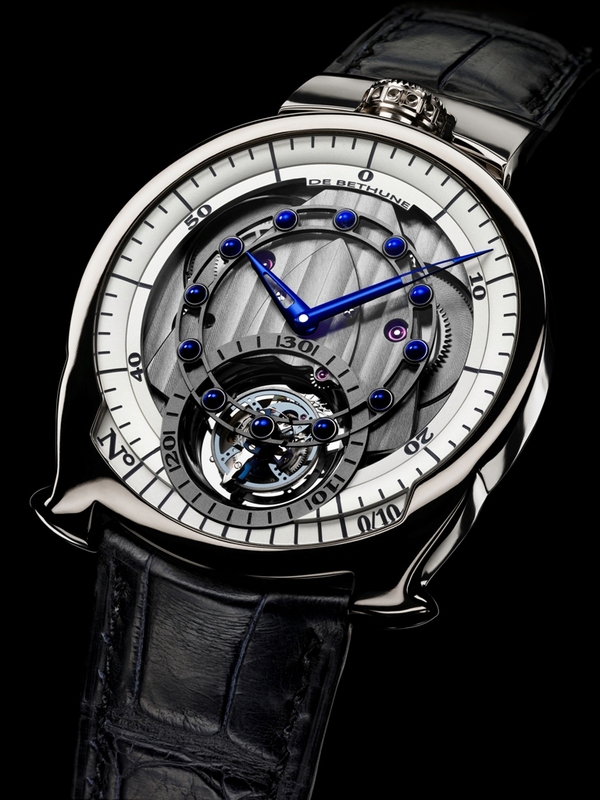 This design complements the accelerated tension seen in the exterior of the car. The interior complements the exterior, a place of opulence, security and presence. The Rolls-Royce Dawn offers four very individual, cosseting seats. The vehicle is a full four seater and so there is no compromise in comfort wherever you sit. The seats have been designed to help emphasise the energetic, yet elegant intent and sense of purpose of the car, complemented by an intersecting full length centre console. The upper seat back houses the seat belt harness, which together with the pillarless bodywork enhances and emphasises the slingshot of wood or leather with no breaks in the flow-lines. The wood on the surfaces of the trays are also book-matched down the centre console in a chevron pattern pointing forward providing an accelerated feel. 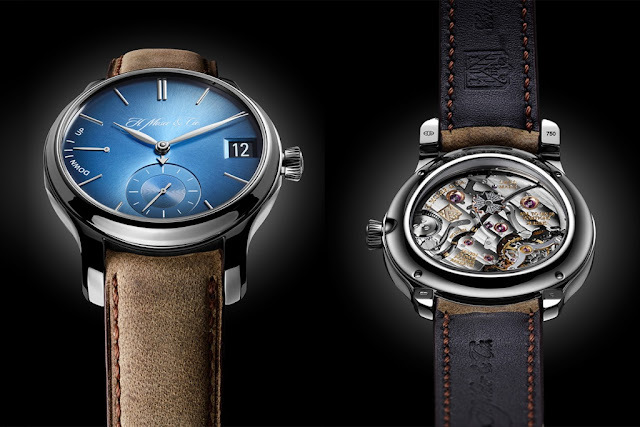 The instrument dials have also undergone subtle enhancements with individually applied polished metal chaplets around the dials evoking the precision design of hand-made, luxury wrist watches, whilst the matt chrome centres ‘float’ in the middle of each instrument. 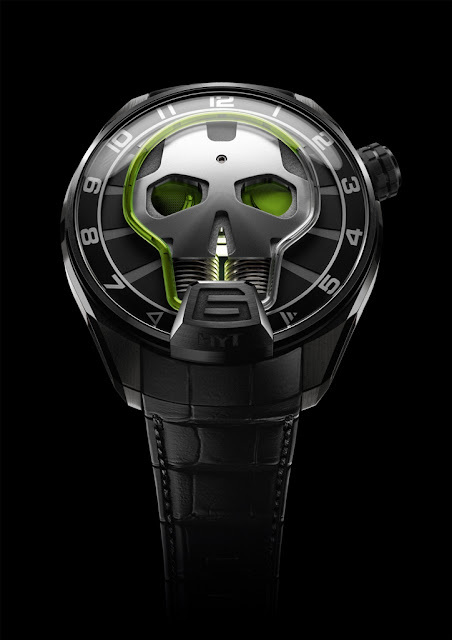 In addition, a new clock design featuring the new motor car’s name has been introduced. 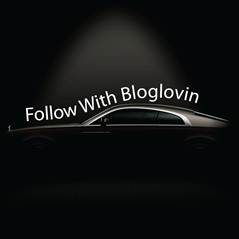 ENGINEERING & TECHNOLOGYThe Silent BalletWithout question, the engineering highlight of the new Rolls-Royce Dawn is the new roof. To be a true Rolls-Royce, Dawn had to deliver the hushed driving experience associated with all Rolls-Royces. At the same time the only choice for a Rolls-Royce was a fabric roof for reasons of aesthetics, romance and brand appropriateness. There is nothing more romantic than driving a convertible in the rain at night and hearing the drops pattering on the roof. In conversation with its customers, Rolls-Royce realised that they felt the same way. Firstly, the passengers’ on-board aural experience roof up and roof down while in motion had to be pure Rolls-Royce. The design of the roof had to be graceful, beautiful and sensuous whilst remaining one of the largest canopies to grace a convertible car. 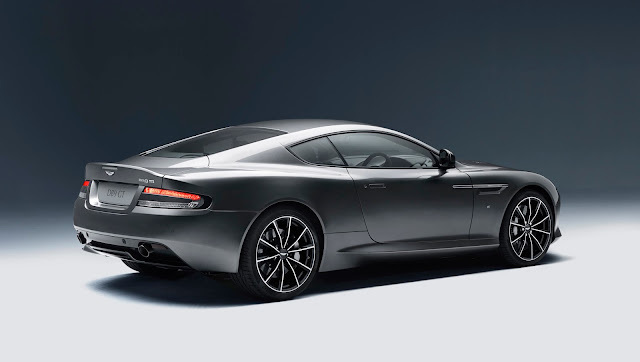 Of particular note is how the canopy wraps around the rear seats and down over the window tops of Dawn thereby optically lowering the roofline of the car to contribute to its low-slung appearance. 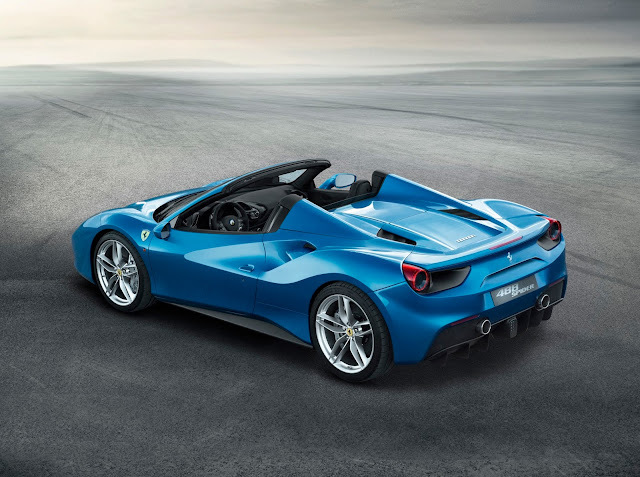 Another point to note is the small size of the rear glass – a carefully-judged proportion which heightens the sense of a private sanctuary when motoring with the roof up. 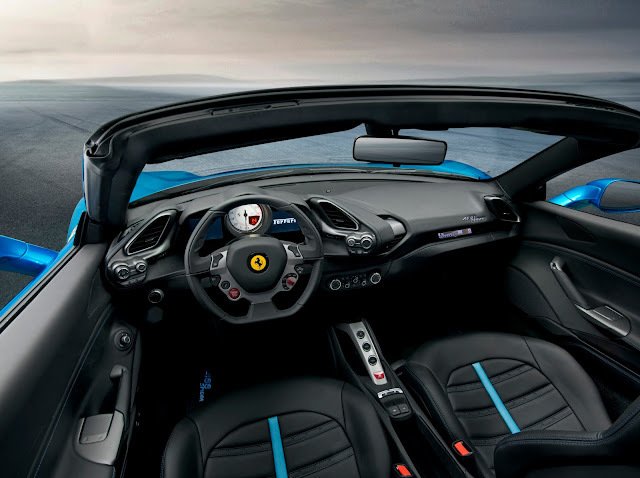 Two key techniques were employed to ensure the roof not only appears beautiful and sensuous in its form, but also contributes to the silence of the car in its function. A perfectly smooth surface, combined with an innovative tailored ‘French Seam’ ensures that the air flow over the car with the roof up creates no noticeable wind noise. 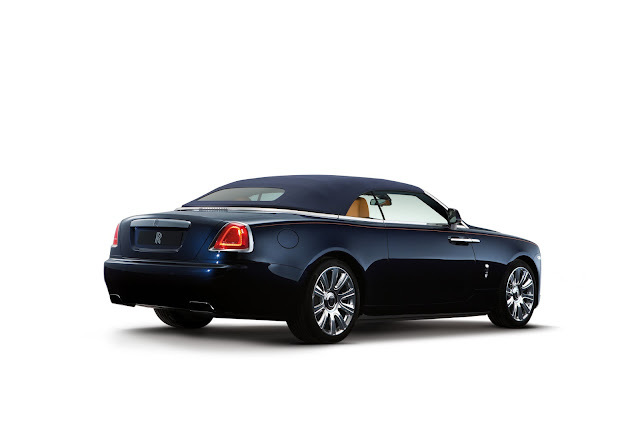 Inside, the Rolls-Royce Dawn is as silent as a Rolls-Royce Wraith – a first in convertible motoring. Secondly, the actual opening and closing of the roof mechanism had to be both beautiful and unobtrusive at the same time. The engineering team even went so far as to invent a phrase for what they wished to achieve with the roof mechanism. The Silent Ballet. And a Silent Ballet is what they achieved. Operating in complete silence in just 22 seconds, and at cruising speeds of up to 50km/h this ‘Silent Ballet’ engages the majority of one’s senses as silence and seclusion are exchanged for the sounds, light and aromas of the outside world. As if opening an airlock, Dawn lifts the lid on the outside world and its cabin becomes a wider part of the owner’s social space. Bespoke AudioFor those not so worried about silence and more interested in sharing music and entertainment with their friends, Rolls-Royce’s Bespoke Audio system has been specially calibrated for the unique configuration of the Rolls-Royce Dawn. Finely tuned by expert Rolls-Royce audio engineers, Bespoke Audio is the most exhaustively designed automotive hi-fi system ever developed and has been minutely calibrated to compensate for the dual personality of Dawn. Whether the roof is open or closed, Bespoke Audio ensures perfect acoustic balance and performance. 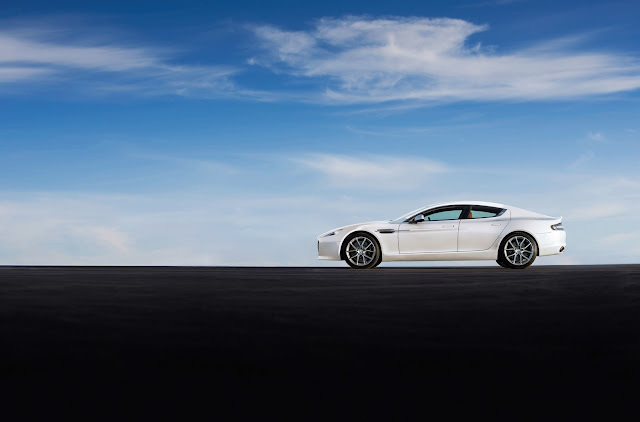 Audio engineers were consulted throughout the design process of the car on the effect proposed changes may have had on the performance of the audio system – a practice unparalleled in the automotive world. Sixteen individually-tuned speakers, with both theatre and studio settings, deliver a pure ‘larger than live’ sensation. Two bass speakers located in the boot complement seven tweeters meticulously placed throughout the cabin. The system utilises a highly sensitive microphone to constantly monitor ambient exterior noise, subtly adjusting the volume and tone settings accordingly to ensure the system delivers consistent perfection. The technology complements this, with frequency and phase correction for individual speakers eliminating potential loud and dead spots caused by outside influences. In addition to the undisputed leaps forward made in the engineering of soft-top cars by the Rolls-Royce team, the new Rolls-Royce Dawn also introduces several other tailor-made engineering innovations. Extensive testing and research were carried out before the engineering team were completely satisfied. Tens of thousands of kilometres were driven over rough road surfaces to help identify and eliminate potential problems. The result is a chassis that makes the Rolls-Royce Dawn the most rigid four-seater convertible available today. Fewer aerodynamic lifts in front and rear and a lower centre of gravity, in combination with newly designed air springs and active roll bars, deliver surprisingly agile handling capabilities for this super-luxury boulevardier. The flared, sensuous rear flanks of the Dawn indicate a rear track that is 24mm wider compared to Ghost, giving Dawn a lower, sleeker profile. In addition, the car’s wide hip not only adds to the seductiveness of the car, its broad shoulders underline the masculine muscularity and strength of the vehicle, helped by the 180mm shorter wheelbase. The heart of the Rolls-Royce Dawn driving experienceThe beating heart and soul of any Rolls-Royce motor car is the beloved twin-turbo 6.6-litre V12 powertrain. With a power output of 563bhp or 420kW @ 5,250rpm and a torque rating of 780Nm or 575 lb ft @ 1,500rpm, Dawn’s driving experience is exceptional. This experience is enhanced by dynamic accelerator pedal mapping which delivers up to 30% increased response at medium throttle. Dawn maintains Rolls-Royce’s typical steering characteristics providing superb driver feedback thereby ensuring that the car is effortless but precise to drive, while also providing a great sense of safety, even at higher speeds, no matter if the top is up or down. The result is that the new Dawn is Rolls-Royce’s most powerful full four-seat drophead motor car to date, and thanks to its advanced engineering is lighter and more fuel efficient than the majority of compromised 2+2 convertibles in the market. Grip is provided by runflat tyres, metrically sized at 540mm (20 inches) in diameter. These tyres enable the Dawn to run on a deflated tyre for at least 100 miles/160km at speeds up to 50mph/80km/h before needing a replacement. A remarkable level of control still exists, even with a tyre fully deflated. 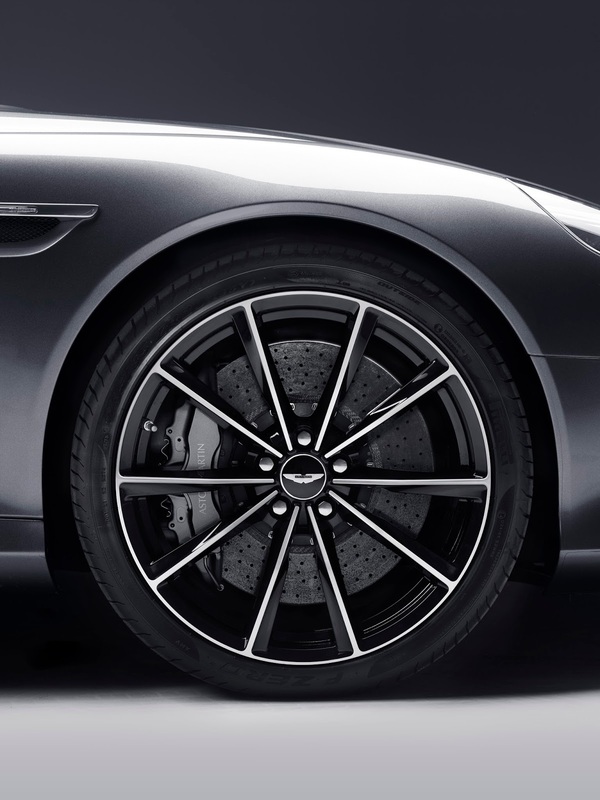 Optional 21” wheels are also available, mounted on 10-spoke rims. The inclusion of runflat tyre technology removes the need for a spare wheel and jack, freeing up space in the luggage compartment. In common with the entire Rolls-Royce family of fine motor cars, the new Dawn is at the very vanguard of automotive design and technology. Dawn presents drivers with a suite of discreet technologies that ensure their leisure time in the car is a super-luxurious effortless experience. Key is the discreet placement of the car’s technological functions. Dawn is therefore fitted with the Spirit of Ecstasy Rotary Controller, an intuitive, one-touch solution that allows the user effortless access to media and navigation functions. For example, characters for navigation input or media searches can be finger-drawn onto its surface, echoing seamless smartphone functionality. A one-touch call button located conveniently on the steering wheel allows users to summon the car’s functions using simple voice commands. 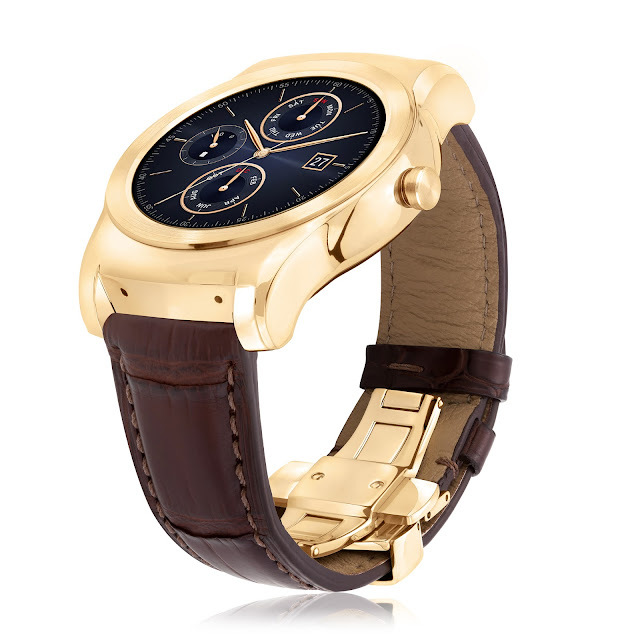 Both features remove the need for superfluous buttons and ensure absolute ease of use. For example, simply press the button and say the command: “Navigate to St. Tropez” and the car’s Satellite Navigation system will plot the fastest possible route. The Rotary Controller’s touch pad also allows ‘pull and pinch’ features, replicating intuitive smart phone functionality. These help the user pinpoint chosen areas on the screen or make them larger. Information from the significantly updated Multimedia Interface and Navigation system is displayed beautifully on a new 10.25” high-definition screen, whilst hardware and software changes have improved processing speeds for faster route calculations. An Automatic Cruise Control system helps to reduce constant small precision adjustments of distance and speed, reducing continuous creep, stop and start. The driver can now move along in city traffic in a confident and relaxed manner relying on the system to monitor conditions and react to changes in traffic patterns – for example when entering a new road or slip road. New software for the radar and camera – located in the front bumper valance and centre upper windscreen respectively – provides faster system response times, including faster pre-conditioning of the brakes to expect emergency pressure. Should the worst of circumstances arise, Dawn will deploy a concealed roll-over protection system from behind the rear head restraints in just a fraction of a second. A ratchet system then locks them in place. This roll-over protection system also encompasses the entire windscreen surround of the car. 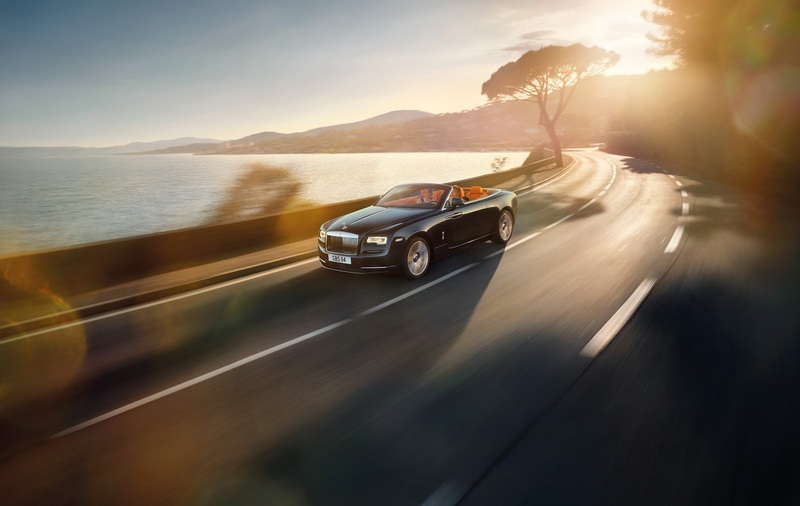 Satellite Aided TransmissionThe Rolls-Royce Dawn’s effortless dynamism is augmented with the addition of Satellite Aided Transmission, a technology that made its global debut on Wraith in 2013. Satellite Aided Transmission utilises GPS data to allow the car to see beyond what the driver sees, anticipating their next move based on location and driving style. It uses this information to select the most appropriate gear from the Dawn’s 8-speed ZF gearbox to ensure the driver is able to appropriately exploit the power from the Rolls-Royce 6.6 litre twin-turbo V12, ensuring an effortless and seamless drive experience. For example when approaching a sweeping bend, the car will predict how you wish to drive through it. When the driver lifts the accelerator it will hold the lower gear to ensure maximum power is available on accelerating through the exit of the corner. Satellite Aided Transmission comes as standard on Dawn. From dusk ‘til dawn – Illuminating technology shows the wayThe most recent developments in LED lighting technology have also been applied to the Rolls-Royce Dawn. The way this light is managed is significantly enhanced by adaptive technology. Electronically controlled reflectors move in the direction of travel in response to wheel turns to give a greater depth of vision when cornering and a whiter, brighter light ensures effortless and safe driving on dark roads whilst helping reduce driver tiredness. 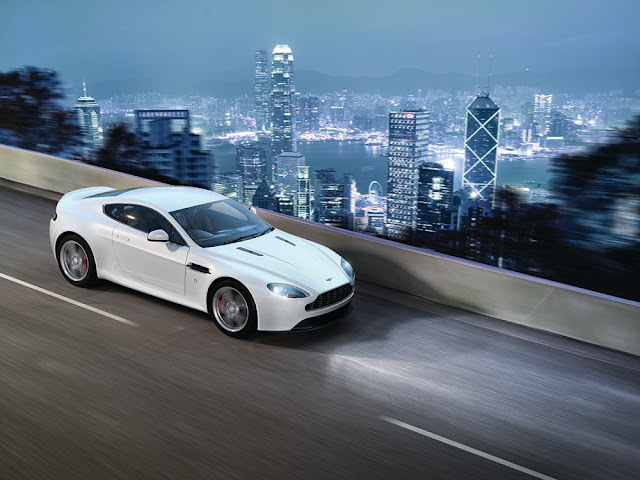 In addition, automatic dipping of full-beam headlights has been replaced with revolutionary new glare-free technology. When a car approaches, light is deflected to ensure the oncoming driver is not dazzled. Dawn drivers therefore enjoy the safety benefits of constant full-beam visibility. 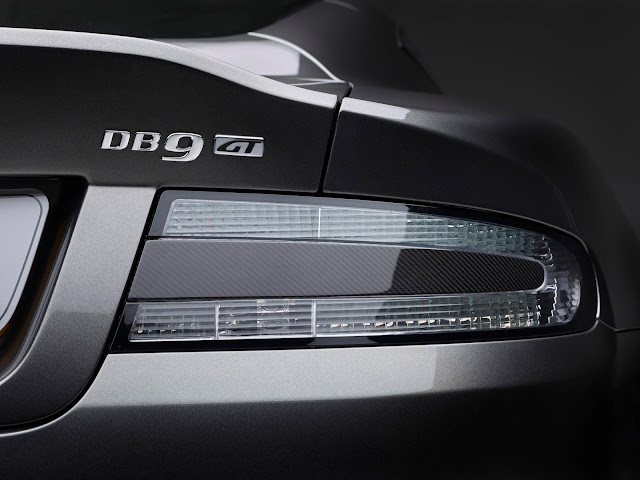 A day-time running bar frames Dawn’s contemporary front light graphic, giving the car a distinctive signature whilst augmenting safety at the same time. Night-time driving safety is boosted by the head-up display and heat detection system that detects both human and animal heat signatures, and issues an audible warning to the driver of possible danger. 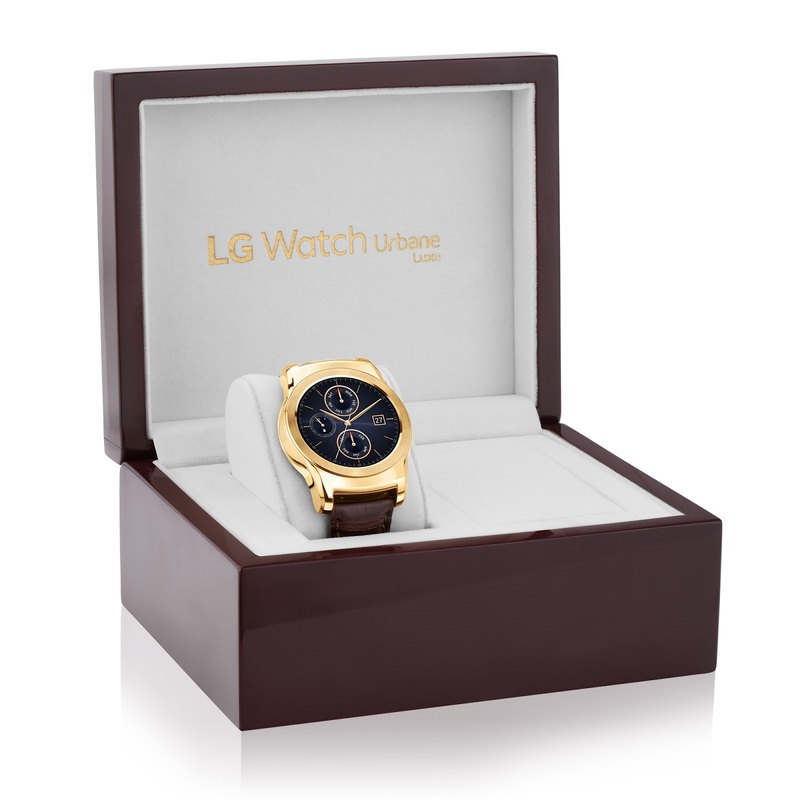 In collaboration with U.S. retail jewelry company REEDS Jewelers, LG Electronics (LG) will introduce a premium limited edition smartwatch, LG Watch Urbane Luxe. This luxurious wearable was designed with a specific wearer in mind and is adorned in 23-karat gold and gorgeous alligator leather strap set in an exclusive piano-gloss lacquer case. 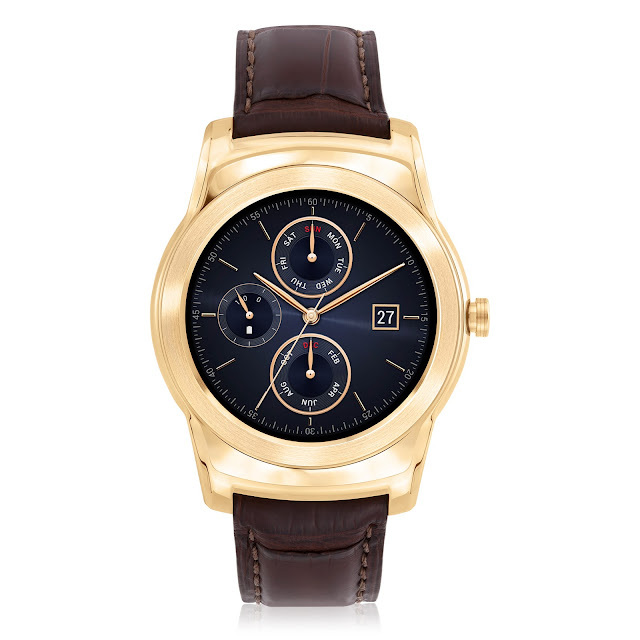 Available starting at the end of October, the LG Watch Urbane Luxe will retail for approximately USD 1,200. 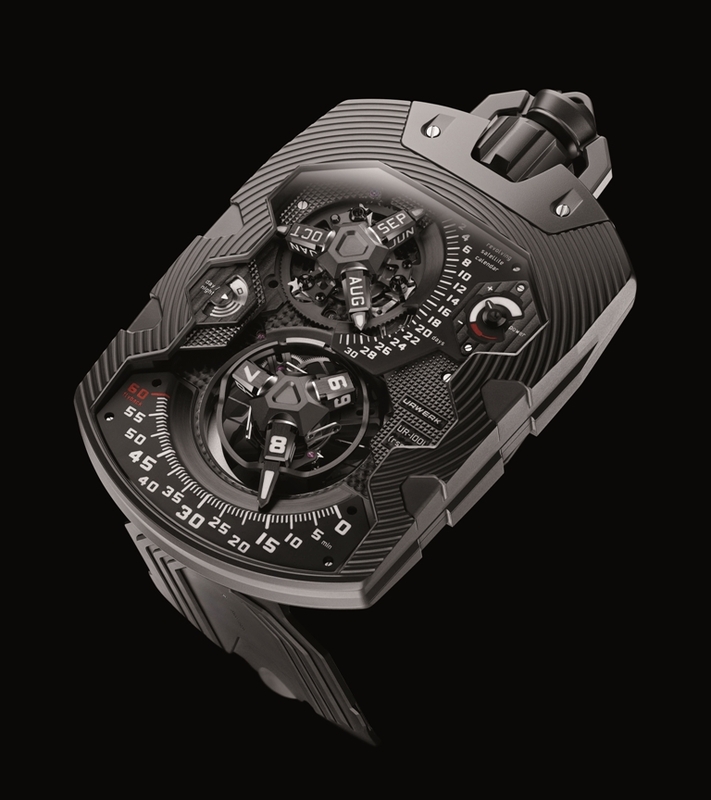 The Salon International de la Haute Horlogerie (SIHH) will lift the veil on a new interior decor at its 26th edition, to be held January 18th to 22nd, 2016. 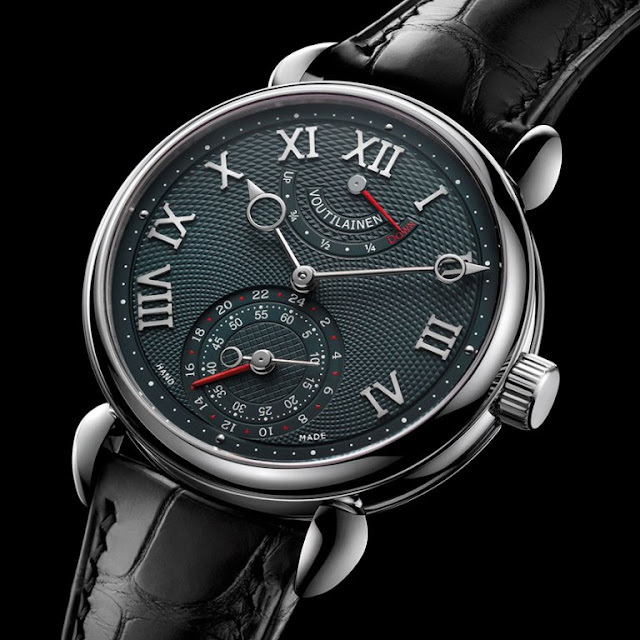 In addition to its fifteen Exhibitors, the Salon will also welcome nine independent watchmakers in its first ever Carré des Horlogers. 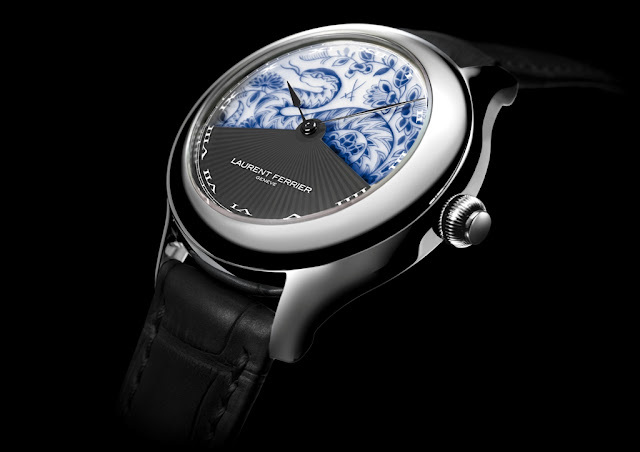 After the excitement engendered by the Salon International de la Haute Horlogerie's quarter-century in January 2015, next year's edition promises to be just as impressive, as SIHH 2016 introduces major changes to this annual event that marks the beginning of the watchmaking year. 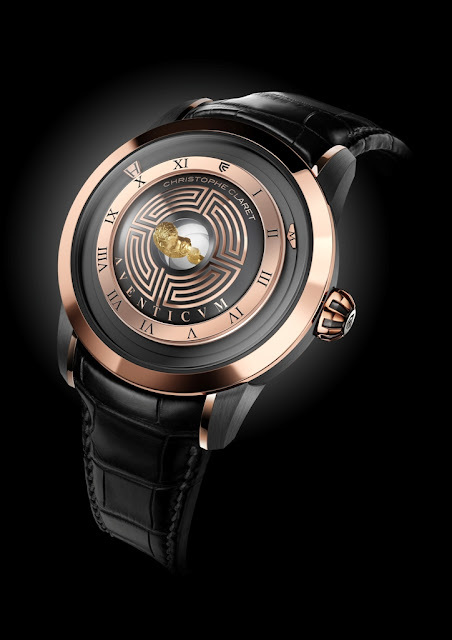 The circle of exhibitors will expand to twenty-four as SIHH inaugurates its very first Carré des Horlogers, a showcase for nine artisan-creators, independent workshops and representatives of watchmaking's "new guard". The Salon thus extends its horizons with this presentation of complementary approaches to Fine Watchmaking that sit perfectly with those of the exhibiting Maisons that have forged its renown. 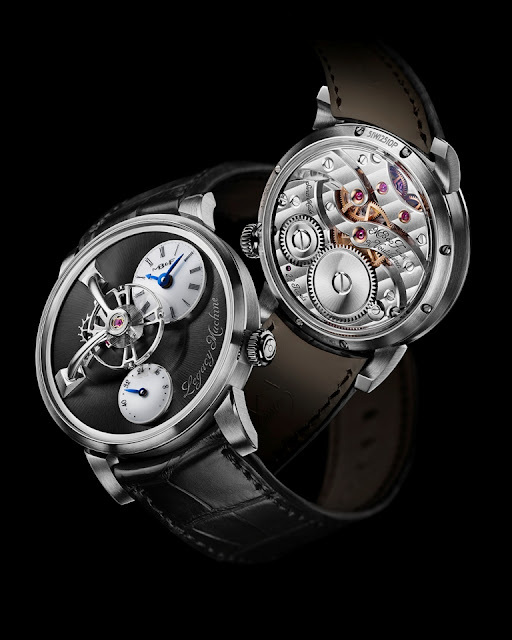 This initiative by the Fondation de la Haute Horlogerie, organiser of SIHH, exactly reflects its ambition to bring Fine Watchmaking's different players together in order to appreciate their richness and diversity. 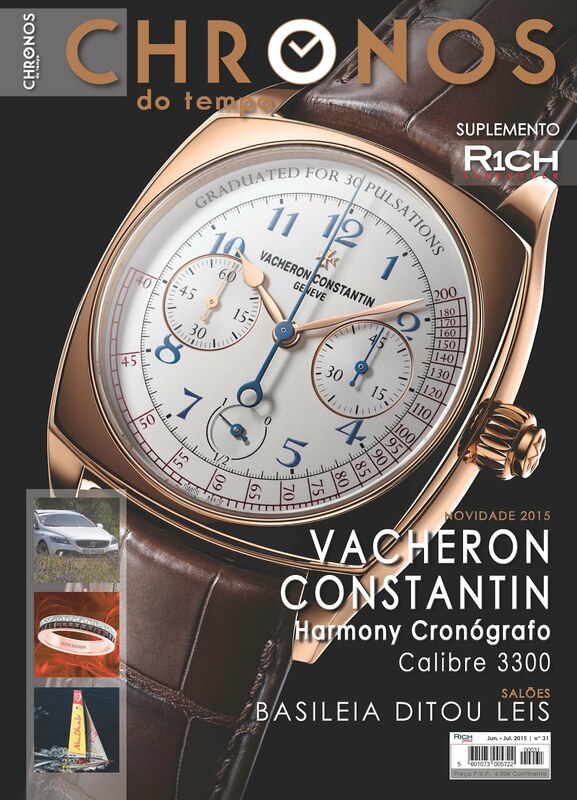 It is indeed thanks to them that, over the years, SIHH has established itself as Fine Watchmaking's foremost trade fair. 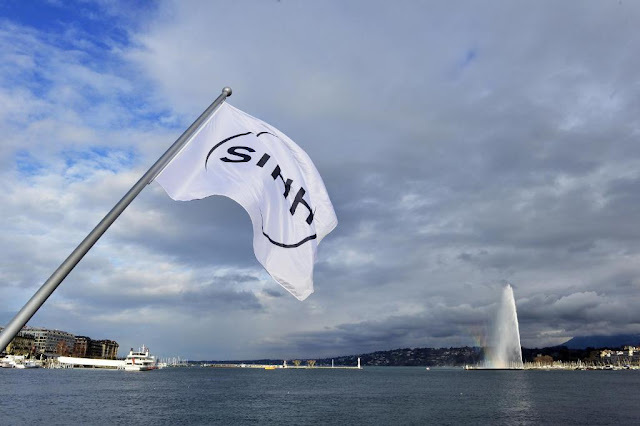 Some have centuries of history to their name; others have just reached maturity; all of them have, in their own way, initiated the concept of technical and precious watchmaking that has made SIHH so uniquely successful. The arrival of new names can only make this concept stronger. With a new setting and new arrivals, SIHH can look forward to many more exciting years ahead. 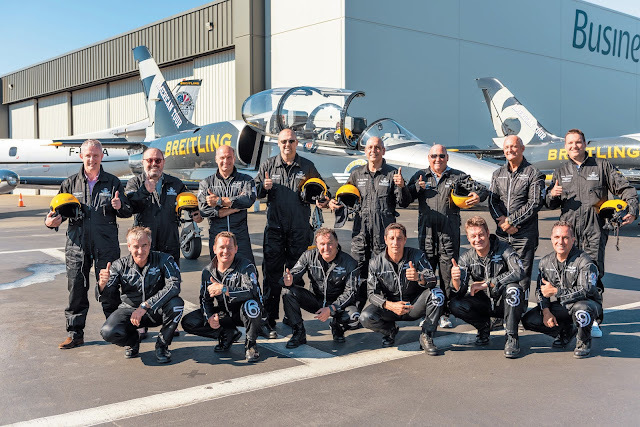 The Breitling Jet Team is the world’s largest professional civilian flight team performing in jets, comprised of seven L-39 C Albatros Jets that can reach speeds of up to 565 mph and fly within just a few feet of each other. Like their automotive counterpart, the Bentley Continental GT Speed, the team is widely recognized for their breathtaking displays, incredible speed, and flawless performance. The vehicles were designed through Bentley’s exclusive Mulliner bespoke design program, complete with a special livery and interior materials designed to echo elements of the Breitling Jet Team aircraft. 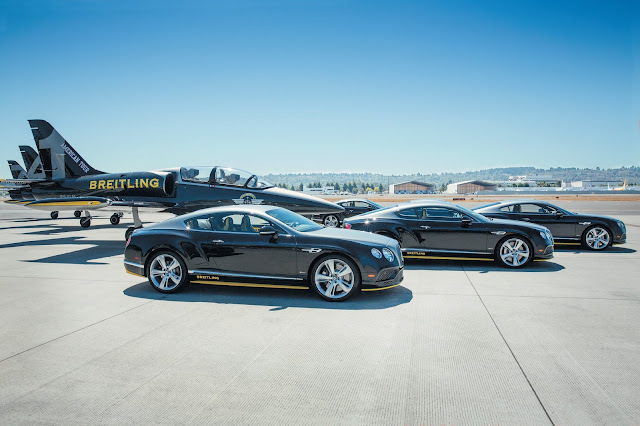 The vehicles are outfitted to satisfy the most discerning customers with a special exterior that includes a striking duo-tone split of Hallmark and Onyx with highlights of Breitling Yellow matching the jets. 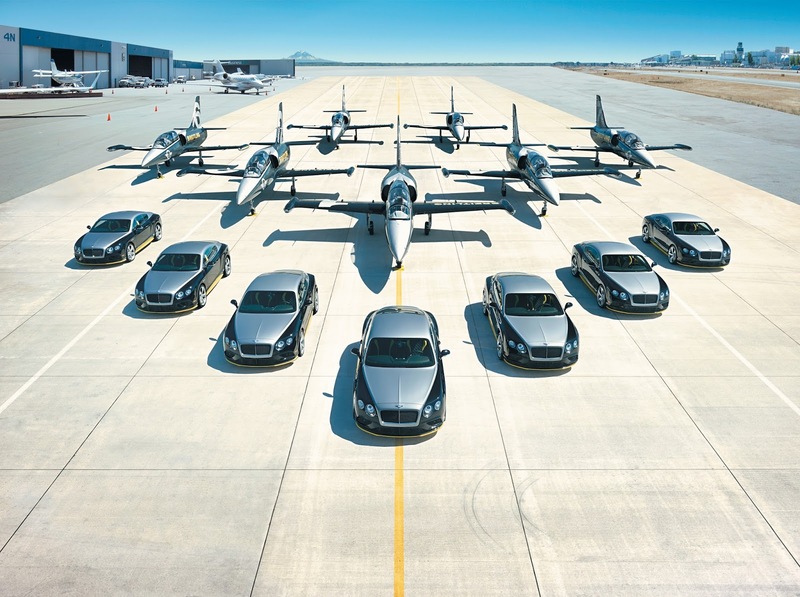 Each of the seven cars is individually numbered to signify its place in the limited production run, which matches the number of jets in the team’s fleet. 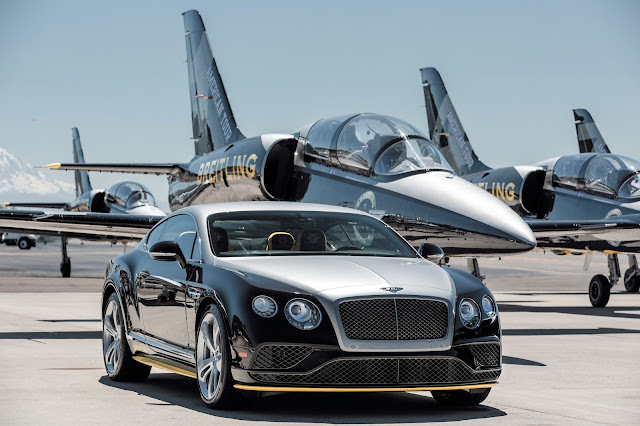 In addition to the customized exterior, the interior has unique seats accented with the signature Breitling Yellow. The Continental GT Speed is Bentley’s fastest production vehicle ever, powered by a 6.0-liter twin-turbo W12 with 626 hp and a top speed of 206 mph. The Breitling Chronomat 44 Jet Team American Tour timepiece features the Breitling Jet Team logo on the dial, a sleek black steel case, Onyx black dial, and distinct yellow accents mirroring the colors of the Jet Team’s fleet. The caseback features the Breitling Jet Team American Tour logo with the limited edition numbering. In 2002, Bentley caused a sensation by launching the Continental GT, the most powerful Bentley ever built. 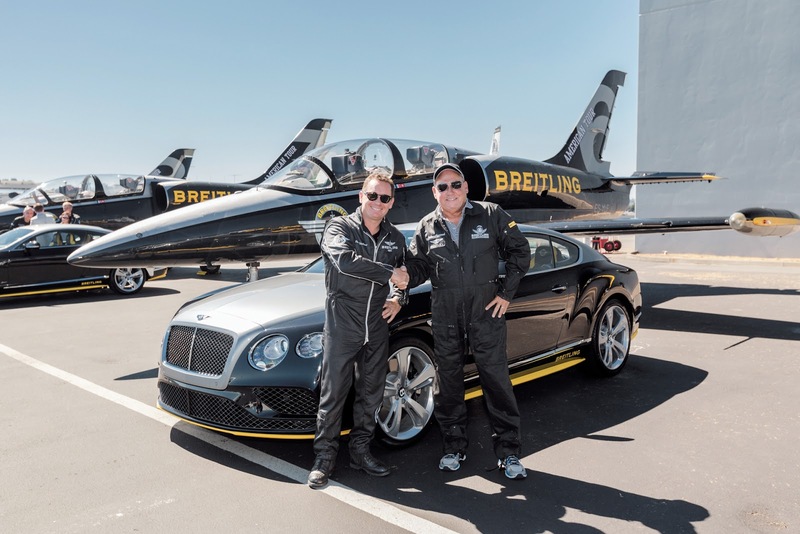 Breitling lent its personal touch to this epitome of luxury and performance by participating in the design of the technical instruments and creating the onboard clock. It was the very first time that Bentley had entrusted this task to a watchmaker. The Breitling for Bentley collection was born from the grand art of British car making and the fine Swiss watchmaking tradition. The partnership launched in 2003, the same year Bentley made its big comeback on the track of the Le Mans 24 Hours race by winning the two top spots right off the bat. More than 13 years later, this rich family of Breitling for Bentley chronographs has won over the planet through their unique blend of elegance and performance, power and style, sportiness and refinement. 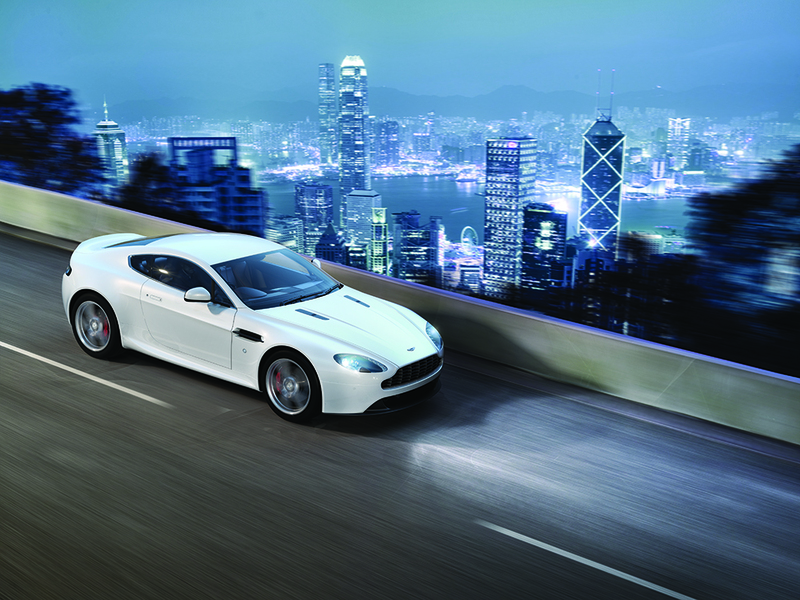 Every area of the car has been designed to set new technological benchmarks for the sector: from the aluminium spaceframe chassis and bodyshell to the new turbo-charged V8, aerodynamics that reconcile the need for greater downforce with reduced drag along with the specific cabin air flow demands of an opentop car, and vehicle dynamics that render it fast, agile and instantly responsive. The turbo V8 has a unique character, delivering increasing levels of power right across the rev range, and completely eliminating the traditional turbo lag with a throttle response time of just 0.8 seconds. This is thanks not merely to components such as the turbos, but also to a sophisticated production process only made possible by Maranello’s leading-edge facilities which are shared with the Scuderia to foster the transfer of racing technologies to the road cars. 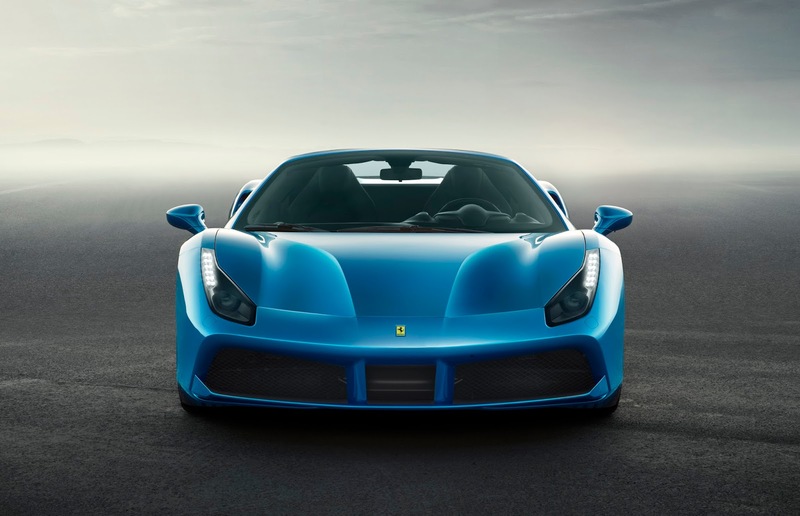 In line with Ferrari tradition, this model has its own absolutely distinctive soundtrack created using solutions such as exhaust headers with longer, equallength piping and a flat-plane crankshaft. It was also further enhanced by an indepth study of harmonics and tonality at different engine speeds. The sound is seductive but never invasive when the top is dropped, with both volume and clarity increasing as the engine instantly responds to the accelerator pedal and revs rise, reinforcing the sensation of massive performance. Designed around the concept of the retractable hard top, the 488 Spider has a spaceframe chassis made of 11 different aluminium alloys combined with other noble metals, such as magnesium, each one used in a highly specific way. This yields the same torsional rigidity and beam stiffness figures as the coupé, improving the chassis’ performance by 23% over that of its predecessor. 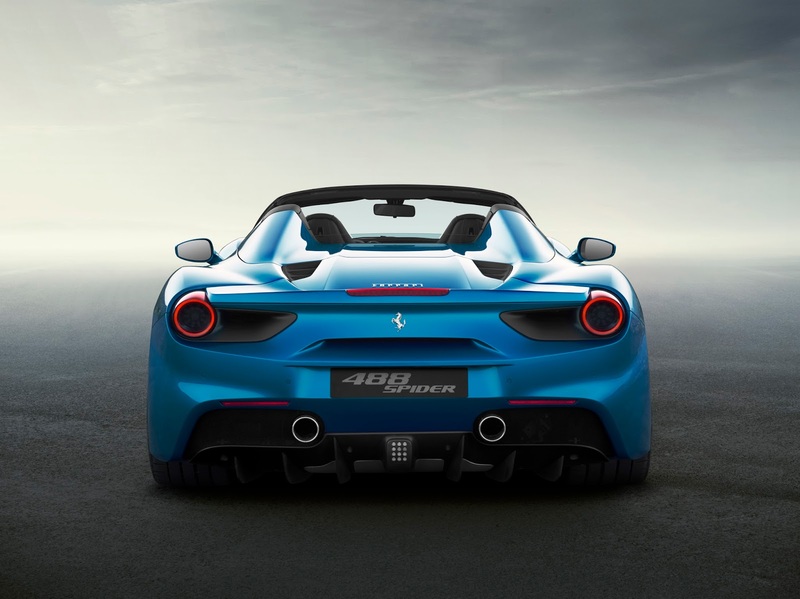 Na extraordinary result, given that the roof is structural, that is only possible thanks to the expertise of the Scaglietti centre of excellence that engineers Ferrari’s aluminium chassis and bodies. 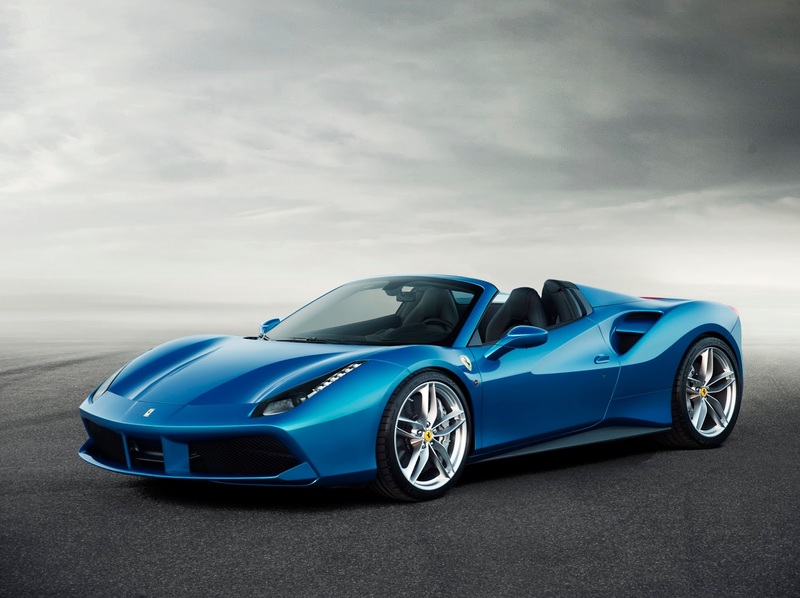 The introduction of a sophisticated simulator, similar to the one used by the Formula 1 Scuderia, allowed the human factor to influence the car’s design from the earliest stages by giving the engineers instant feedback from the testdrivers long before the first 488 prototype was physically built.